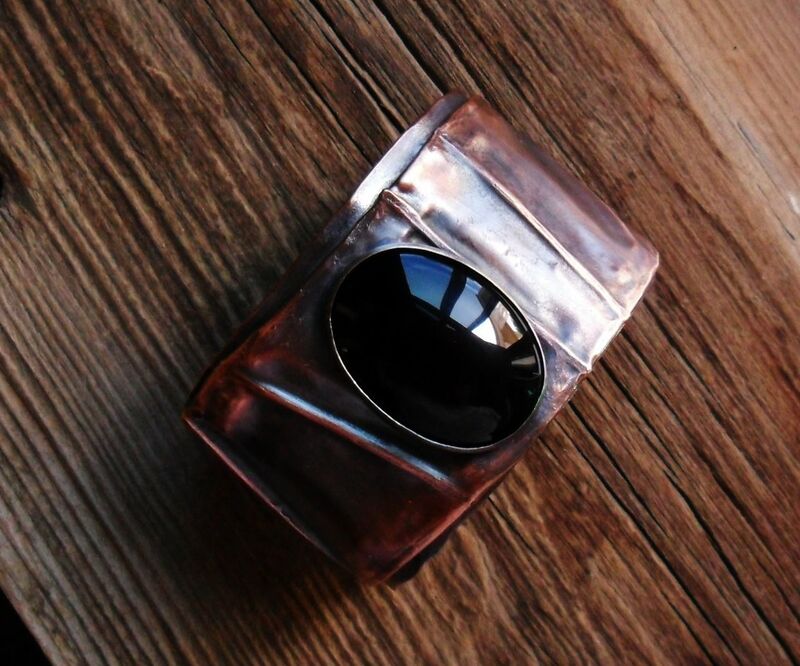 An oval rich black onyx stone is set in a sterling silver bezel and centered on a fold formed copper cuff bracelet. I fold formed a copper band and placed it onto a simple plain copper band by cold connection. (rivets) I added a dark patina and lightly polished the metal to bring out the lighter tones of the copper. 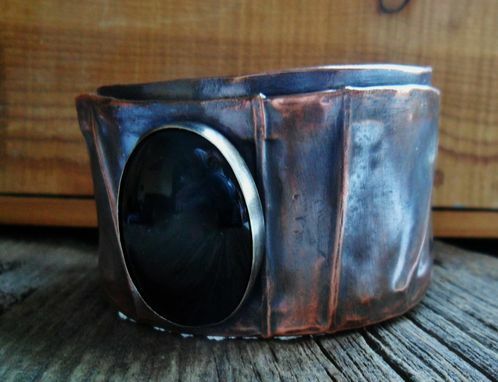 This cuff is 6 inches long and 1 1/2 inch wide. Of course, I can always change the stone to one of your choice.